Welcome To Treadmill Hire Auckland – Where High Quality And Affordable Gym Equipment Is What We Do! Whether you’re choosing a Treadmill, Spin Bike or Cross Trainer, quality gym equipment means a more enjoyable workout and better results. Shop around and you’ll find that we offer by far the best combination of price and quality amongst rental fitness equipment in Auckland. Take a look at our handy feature breakdown below and see for yourself! Most other treadmill hire companies in Auckland will lock you into substantial minimum term contracts. With NZ Treadmill hire you’re free to end your hire by providing 4 weeks notice, with no penalties. No matter if you’re renting a Treadmill, Cross Trainer or a Spin Bike from us, we have no minimum terms, just an affordable one off delivery and install fee. Having hired gym equipment at home allows you to exercise in comfort, at your own pace. With no traffic or crowded gyms to deter you, you’ll be able to keep the excuses to a minimum and establish a regular routine, which will keep you working out and ultimately give you better results. Learn more about the benefits of home treadmill hire here. When you’re running, you exert a lot of shock on a treadmill. They need to be built strongly enough to take your weight plus the added impact of running. This is also why our treadmills feature suspension arms, to help alleviate the shock for you and your joints, and also to make sure it keeps performing correctly over time. Our treadmills feature 2 suspension arms and a high 180kg max running weight, so you can be sure they won’t struggle to keep up with you even as you run. It’s worth considering the top speed when hiring a treadmill, because it affects how flexible and useful it will be for you. Some lighter and cheaper quality treadmills have quite low top speeds. This means that you can walk or jog slowly, but if you ever feel the urge to run or quickly jog you can’t. You shouldn’t be limited by your top speed, it should provide the flexibility for you to work out however you choose. For this reason, our treadmills feature a top speed of 22 kilometres per hour, which is very fast. The incline refers to the running area of the treadmill lifting up on an angle, to simulate running up slopes. An incline falls into two types, powered or manual. With manual inclines, as the name suggests, you have to adjust the incline manually. 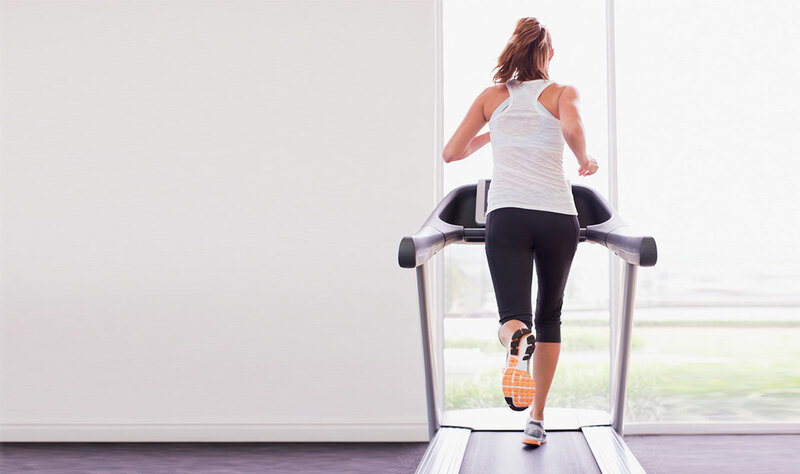 This adjustment is usually a dial at the base of the treadmill, so you can imagine the inconvenience in having to get off, make an adjustment and get back on. This is also very limiting for your preset programs, as you cant do interesting programs such as hill climbs. 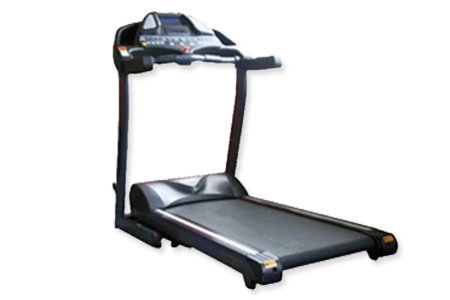 If a treadmill has a powered incline, this means you can adjust the incline electronically from the console. This is much more useful, and means the user can do much more diverse and interesting workout programs. Plus you don’t have to get off each time to make an adjustment. The final factor of the incline feature is the angle. This is the maximum angle that the running area can life up to, meaning a steeper slope. A greater max incline angle provides more variety in their workout programs, which makes for more fun and rewarding exercising. For this reason, our treadmills have powered inclines, with a steep max incline angle of twenty degrees, which is easily one of the best if not the best around. Working out should be fun, and this means being able to listen to music as you exercise. Our treadmills have built in speakers, so you can connect your music player and listen to music while you run. You probably won’t find this feature on cheaper models, but it makes a big difference to the enjoyment of your workout. The running belt size of a treadmill is a feature that many people often overlook, but it’s actually one of the most important. You need to make sure the belt is big enough to comfortably accomodate you as you run or jog, to make sure you feel free and unrestricted when using you’re running. Small belt sizes will make using you feel cramped and claustrophobic, making for a less enjoyable workout eperience. This may also results in you accidentally hitting the stationary edges of your treadmill from time to time, something which is unpleasant and dangerous. Our treadmills feature a massive 298cm x 50cm belt size, meaning you never have to worry about feeling cramped or accidentally running off. A very important feature to consider is the size of the motor in your treadmill. These motors are usually rated in horsepower. Small motors, anywhere from 1-2 horsepower, will struggle to provide high speeds, and also they will make the experience of running seem choppy and jerky. Large motors, such as our 3 horsepower motors, will provide smooth and constant power, meaning the treadmill feels much nicer to run on and far less jerky, as well as being able to provide higher speeds and also keep the speeds at higher inclines. Preset programs are important for keeping variety and trackability in your exercise routines. Some treadmills feature very basic preset programs, but our models feature up to 32 different presets, making for a much more interesting running experience. Just fill out the form below to get moving! Spin Bikes are one of the most popular and versatile pieces of workout equipment around. They are incredibly flexible from a workout perspective, as you can easily go from very high impact ‘sprint’ style cycling, right down to easy leisurely cycling for a great cardio workout. Over the years we’ve hired to many different sports clubs, including supplying Spin Bikes to the Auckland Rugby Union who’ve used them as warmup bikes for visiting international teams such as France and the Wallabies. Our Spin Bikes were also used at the Auckland Nines to keep players warmed up during games. If your sports team needs good quality spin bikes to help your players warm up or stay warmed up during a game, then renting them from us is a great option as you can return them at the end of the season. When people are looking at which spin bike to hire, they might not realise how important the weight of a flywheel is in terms of their workout experience. Having a heavy flywheel such as our 18kg one allows you to get a much smoother ride at any speed. This is not only good from a comfort perspective, but it means you can focus on sitting comfortably without the bike forcing you around with a choppy motion like lighter-flywheel spin bikes will do. Many people may not have experienced the feeling of cycling on lighter-flywheel spin bikes, but if you have you’ll know it feels very unsettling and artificial. A nice heavy flywheel makes riding feel a lot smoother and much more like riding a real bike down a road, making for an overall more comfortable and enjoyable workout. 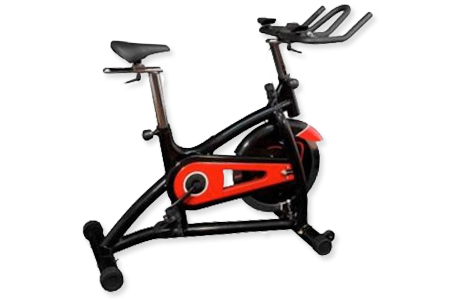 As with all of our products, we’re confident that we supply the best value rental Spin Bikes in Auckland. Just look around online and compare others. 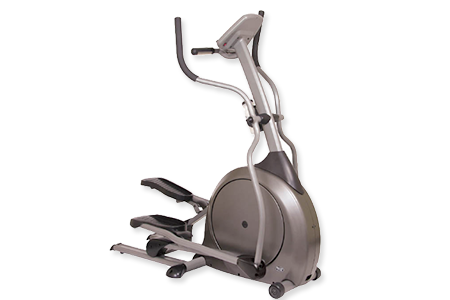 If you pay attention to the quality of their machines, you’ll see that for a good, gym quality spin bike, we are by far the most affordable hire option. Also keep in mind we have no minimum rental terms, just a one off delivery fee and four weeks notice for removal. One of the greatest benefits of exercising on a cross trainer is the ability to focus on exercising areas of your whole body. For example, if you want to use the handles, you will work your arms as well as your legs. Alternatively, you can let go of the handles and use only your legs to complete the motion. This will help you isolate your core for a great midsection workout, as well as your glutes and thighs. Having this flexibility helps keep your exercise interesting and enjoyable, which is one of the most important factors in staying fit and healthy. Cross Trainers are a great option for anyone concerned with joint impact. When using a cross trainer, your whole body basically ‘floats’ as you exercise, with absolutely no impact on your key joints such as knees and ankles, no matter whether you want to go fast or slow. For those concerned with safety on their exercise machines, such as frail or elderly people, a cross trainer is a great option as it will never stop suddenly. Instead, the machine uses your momentum to ‘wind down’ when you want to stop. The reclined body position and larger seats of recumbent bikes mean less strain on your lower back, making them a great option for those who suffer from lower back pain. Whether you’ve had an injury or suffer from a neurological condition, a recumbent bike can provide you with a safe, easy full body workout. This means you can recover at your own pace, strengthening your whole body as you go. 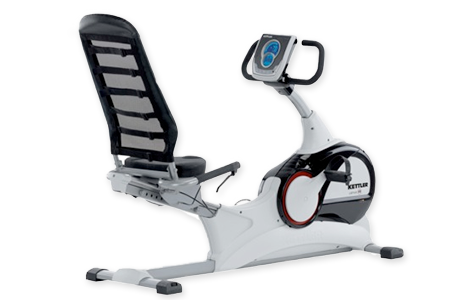 The large seat and reclined position of a recumbent bike means it’s very comfortable and low impact. This means you can focus more on building strength while not having to worry about pain. A recumbent bike may also be easier to use for those with rheumatoid arthritis in their midsection. 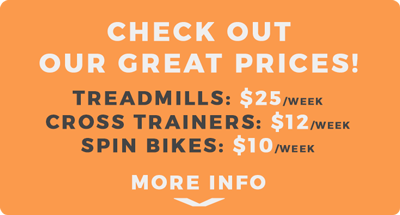 Hire a treadmill plus either a spin bike or a cross trainer for just $30 a week.